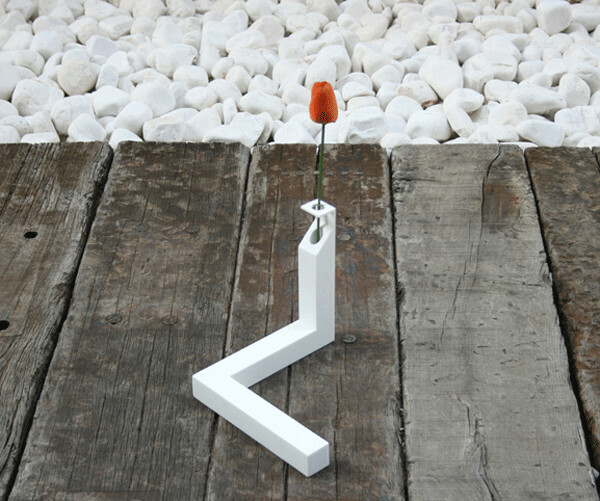 Cuatro Cuatros 90° is a creative vase that displays an intriguing geometry. " Is this an impossible triangle? 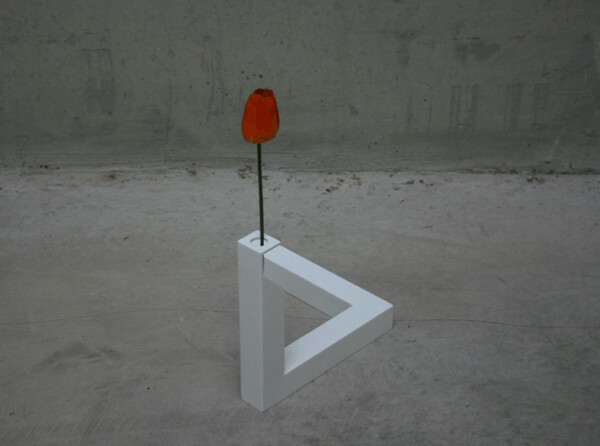 The interposition, orientation and perspective create a contradiction of the space that makes us perceive something that is not. 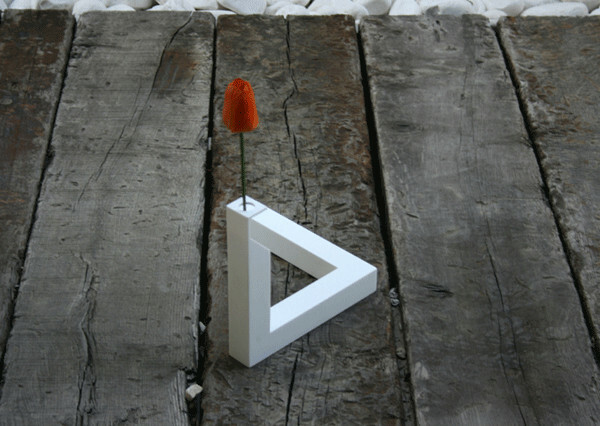 It comes from the Penrose experience. 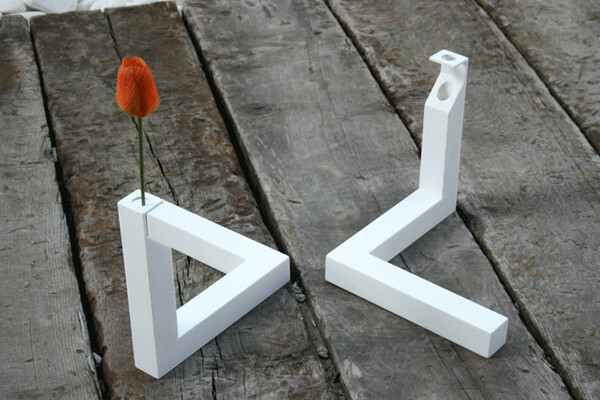 90° is a vase that, based on a drawing, has been converted to a geometrical shape with volume. 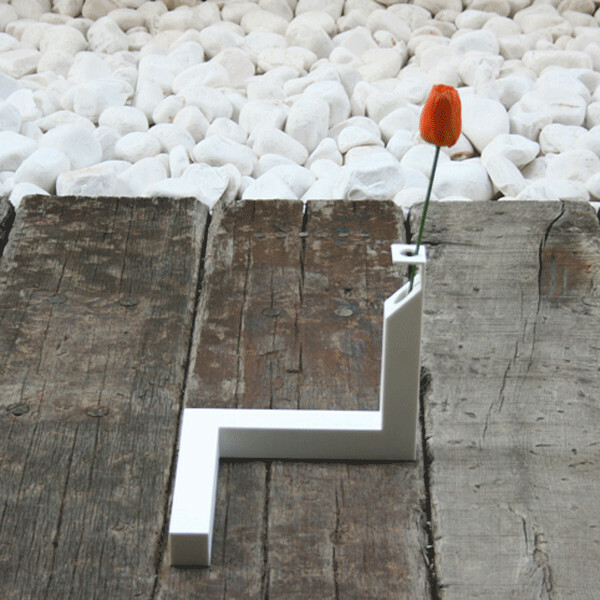 Depending on the point of view, both ends coincide and make it look like a closed figure. " Take a look! Hooo this is really amazing and nice pictures. Keep it up. It actually does looks really cool. So how much?